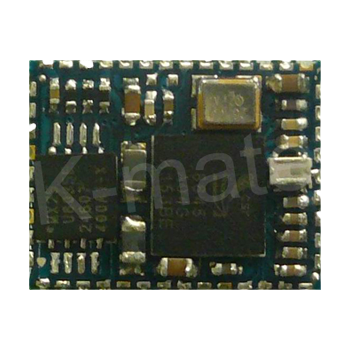 The KMBT001 is a product from K-mate Connectivity Centre. 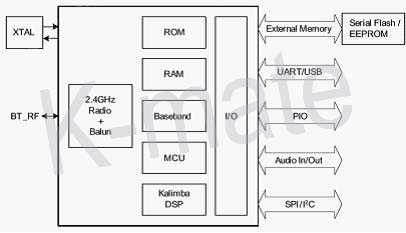 It is a single-chip radio and baseband Module for Bluetooth 2.4GHz systems. The integrated peripherals reduce the number of external components required, including no requirement for external codec, battery charger, SMPS, LDOs, balun or external program memory, ensuring minimum production costs.The battery charger architecture enables the KMBT001 to independently operate from the charger supply, ensuring dependable operation for all battery conditions.